HandyGames have announced that Rad Rodgers: Radical Edition will debut Co-op mode on the Nintendo Switch, when it releases on February 26th. The game will also be bringing some old gaming favourites along with the ride including; Lo Wang from Shadow Warrior, Shelly “Bombshell” Harrington from Bombshell and the king of alien whoopass himself, Duke Nukem. The PC, PS4 and Xbox One version of the game will be getting a free update to include the new additions that the Switch version is getting from the get-go. 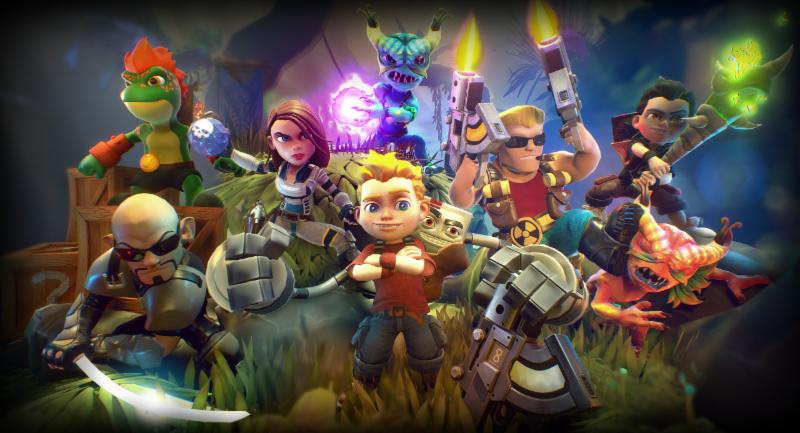 AALBORG, Denmark / GIEBELSTADT, Germany February 12th 2019 —Rad Rodgers, an homage to classic ’90s-era platformers from developerSlipgate Studios and publishers 3D Realms and HandyGames, a THQ Nordiccompany, locks and loads on Nintendo Switch February 26 with all-new content including local co-op, versus mode, and the King himself, Duke Nukem. Every new addition will come to the PlayStation®4, Xbox One and PC via a free update. The Radical Edition adds ‘90s gaming icons Duke Nukem, Lo Wang fromShadow Warrior, Cosmo from Cosmo’s Cosmic Adventure and Shelly “Bombshell” Harrison from Bombshell and the upcoming Ion Maiden. Let Rad catch some Z’s and take one of these mondo classic characters for a spin. Oh, and, hail to the king baby, Jon St. John is back to reprise his role as Duke Nukem. Other totally tubular features include new levels, abilities, mini-games, a new overworld and tons of new secrets, collectables and unlockables.